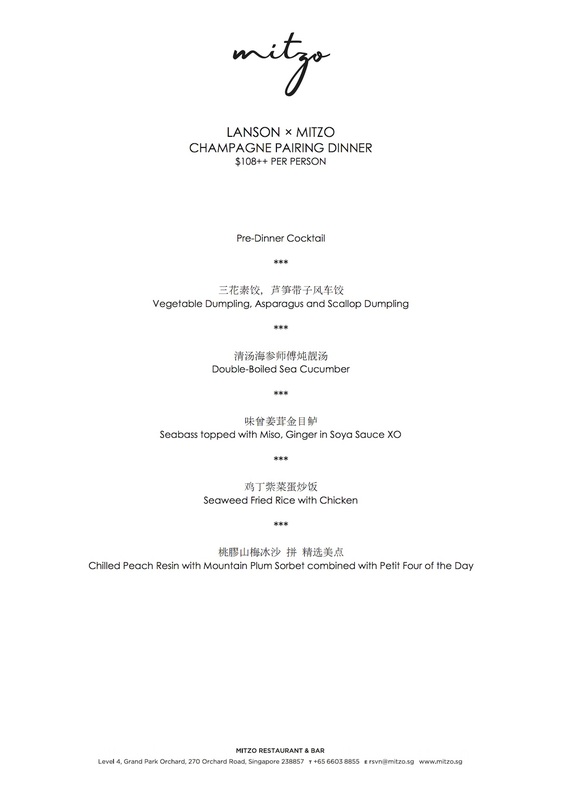 In collaboration with alcohol distributor Octopus Group, modern contemporary Chinese restaurant Mitzo at Grand Park Orchard will be hosting a champagne dinner featuring Champagne Lanson. There will also be a complimentary welcome Lanson cocktail, the Floraison Spritz, created by Mitzo’s head bartender Azlam Kadir. This dinner costs $108++ per person. To secure your seat, email CK at chunkiat.ng@parkhotelgroup.com.